Death of Simeon Kaiu, 1835. PERTAINING TO THE DEATH OF SIMEONA KAIU. Aloha to you, O Tinker. This is my thought for you. One of our fellow travellers has recently died, Simeon Kaiu, he has died. He was not terribly sick, and he died. Perhaps one of his blood vessels severed in his chest, and he could not breathe, and he died. September 11 was the day he died. We know how he lived, when we travelled to Nuuhiwa and came back. His was as kindly as ever, as he did the work of the Lord. Simeon and Deborah [Debora] were in Wailua a few months ago spreading the word of God. They showed those ignorant ones of enlightenment. He lived there, where he died. 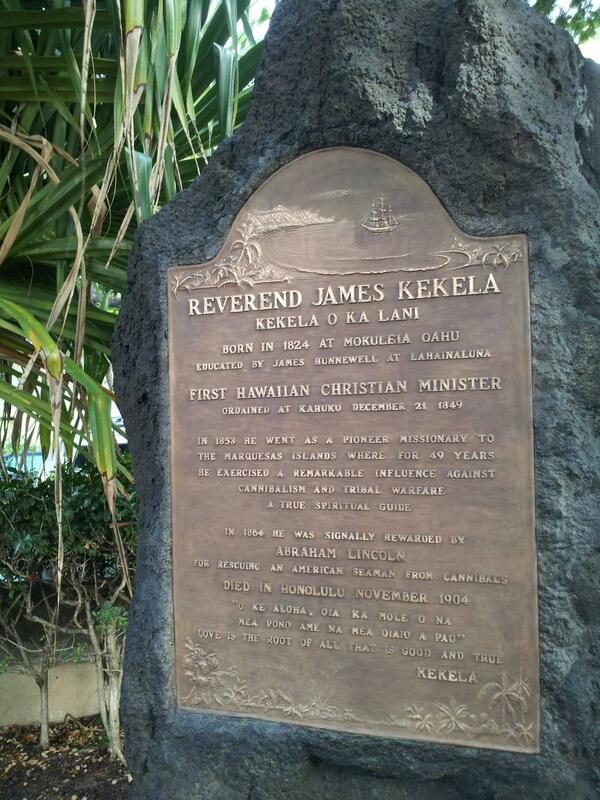 He was a greatly beloved brethren on Kauai. He is much mourned for in this land. He is one of the first fruit picked here in Hawaii. 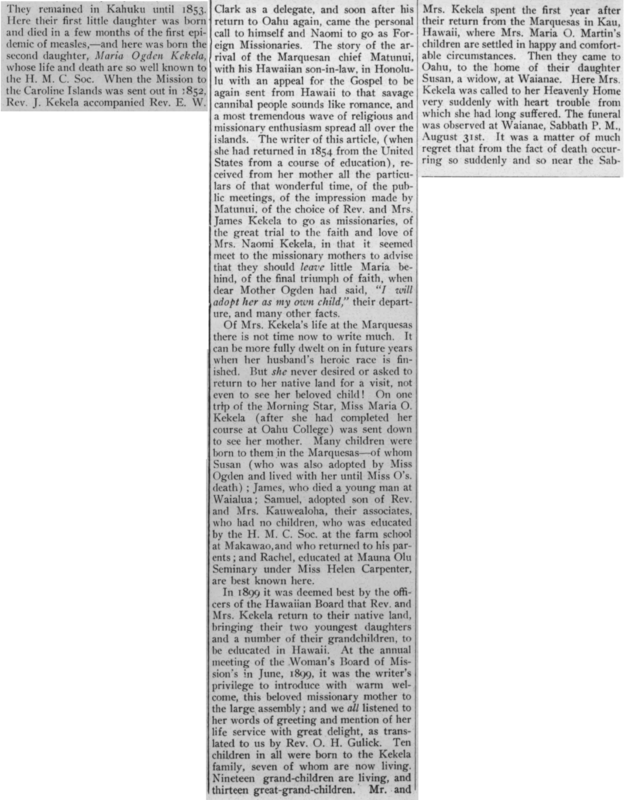 He was baptized in the month of December, 1825. 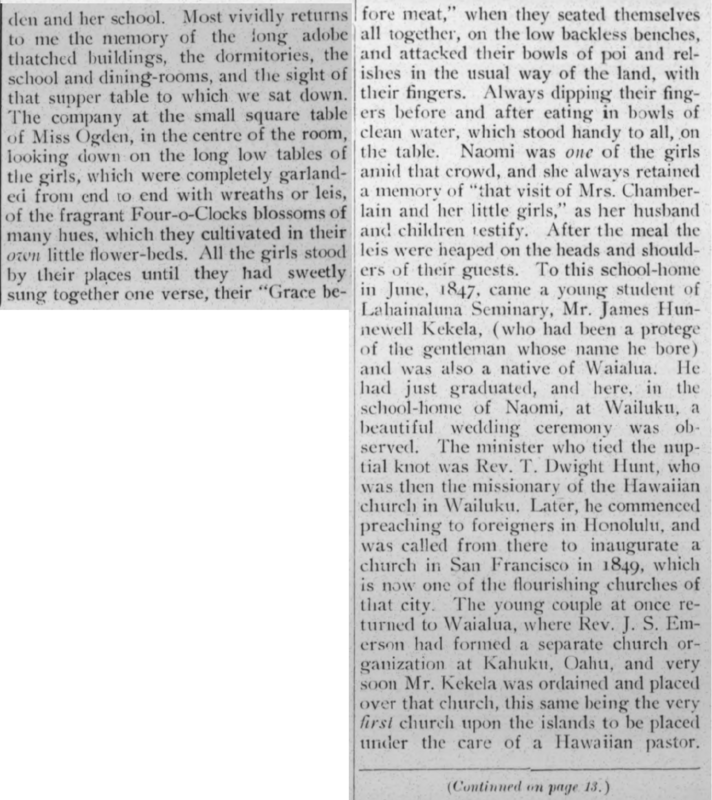 The baptism took place in Honolulu with Kaahumanu. From that time until he died, we know not of any wrong he committed, from what we saw he only did good. Simeona did not make clear what his thoughts were upon his leaving, for he died quickly. When he lived amongst us, we witnessed the fruit of the Spirit. Therefore we believe that he is doing well in that life. “Blessed is that servant, whom his lord when he cometh shall find so doing.”—Luke xii—43. Ke Kumu Hawaii, Buke 1, Pepa 21, Aoao 165. Okatoba 14, 1835.